I am so excited to announce that Justin picked his Groomsmen! I had two Etsy shops that helped us asked the guys! I couldn’t have done it without these Etsy Shops! 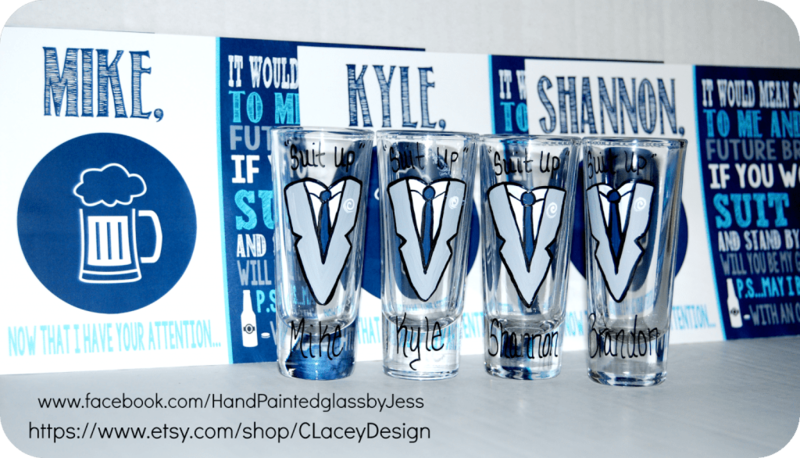 She made these amazing shot glasses! She can personalize it any way! I told her the colors of our wedding & what I wanted it to say & she came out with this amazing design! How perfect! I love that she takes the time to specialize each and every one! 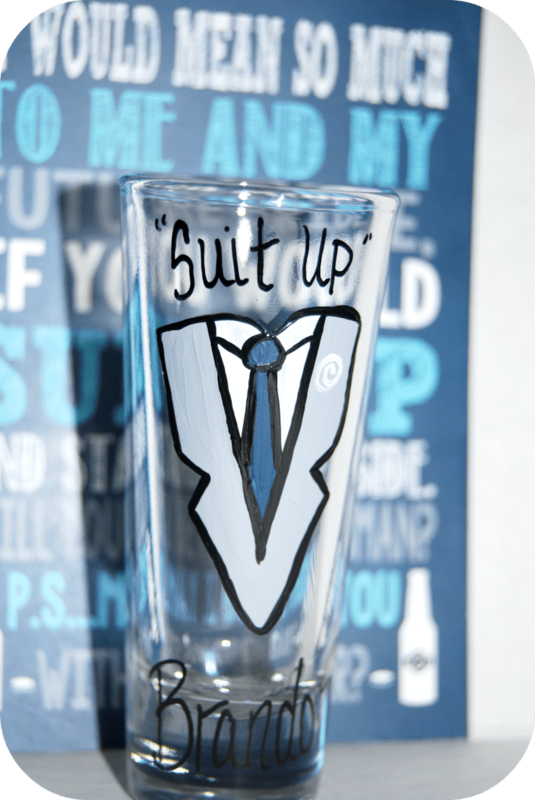 We took the theme of “Suit Up” From How I Met Your Mother! 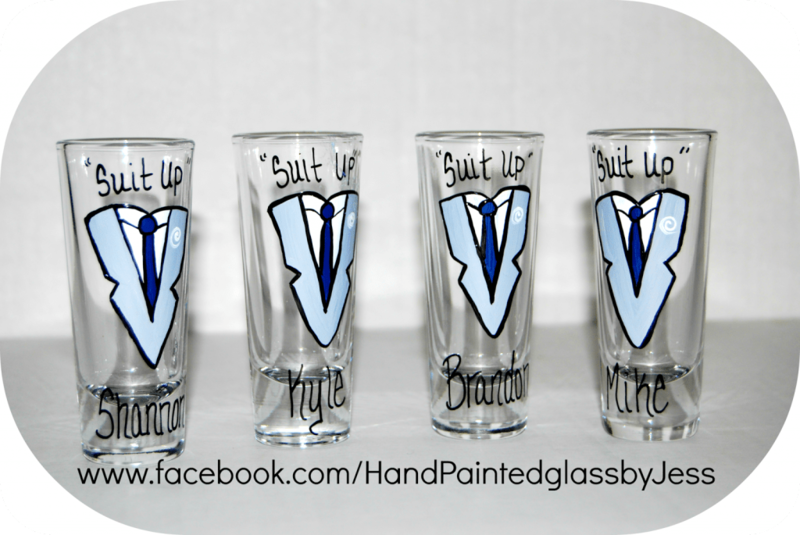 Justin & the guys love that show & I love that I was able to make it personal with BOTH shops! The Second Shop is BEYOND amazing too! 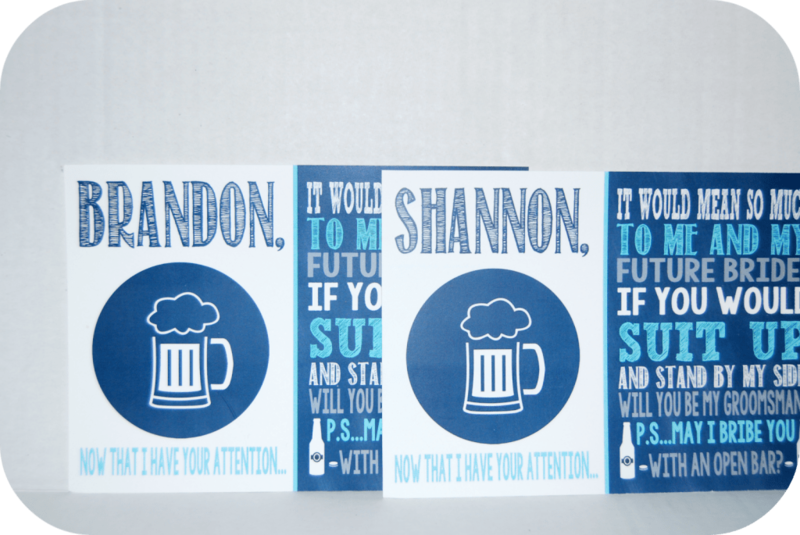 The fact that I was able to personalize the card exactly was the best! How Perfect is that card? 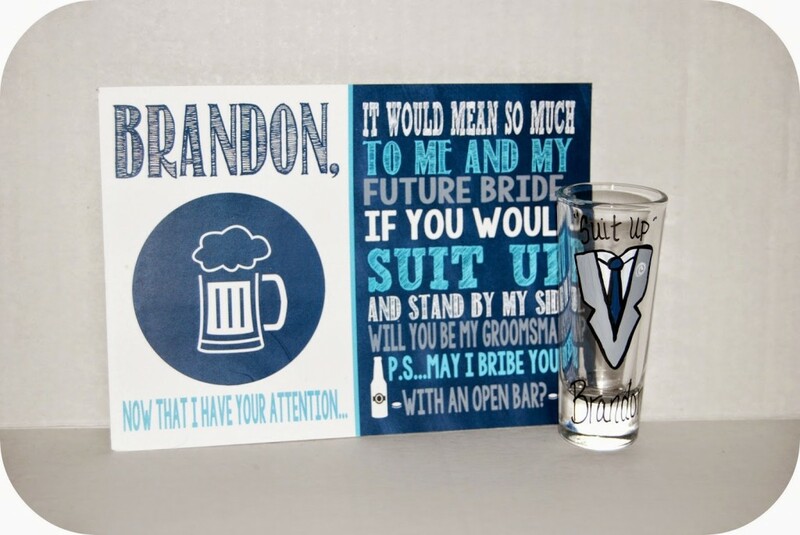 I mean… Can I bribe you with an open bar? That has to be the best phrase ever!! She has so many cute cards in her shop!! She can incorporate any color or style to match your wedding, party, baby shower, or pretty much anything you can think of! Both shops make is so easy to personalize it! I am not creative at all- but I didn’t have to worry! They helped with everything! !